Barbara Riley grew up in Minnesota, and studied violin at the New England Conservatory in Boston. She received a Master of Music degree in Viola Performance from Western Washington University. On a visit to Japan in 1980, she met Dr. Shinichi Suzuki and returned to Bellingham, Washington, to begin teaching the Suzuki Method. In 1988, she spent two months in Matsumoto studying with Dr. Suzuki. For over 20 years she led a busy life in Seattle, teaching violin and viola and playing in musical theater. Since moving to Ellensburg, Washington in 2005, Barbara continues to teach private lessons in her home studio as well as classes at Central Washington University through the Preparatory Strings Department. She also teaches music and movement classes to a mixed group of preschoolers, parents and seniors. She plays fiddle in her trio, Prairie Spring, and viola with the Yakima Symphony Orchestra. 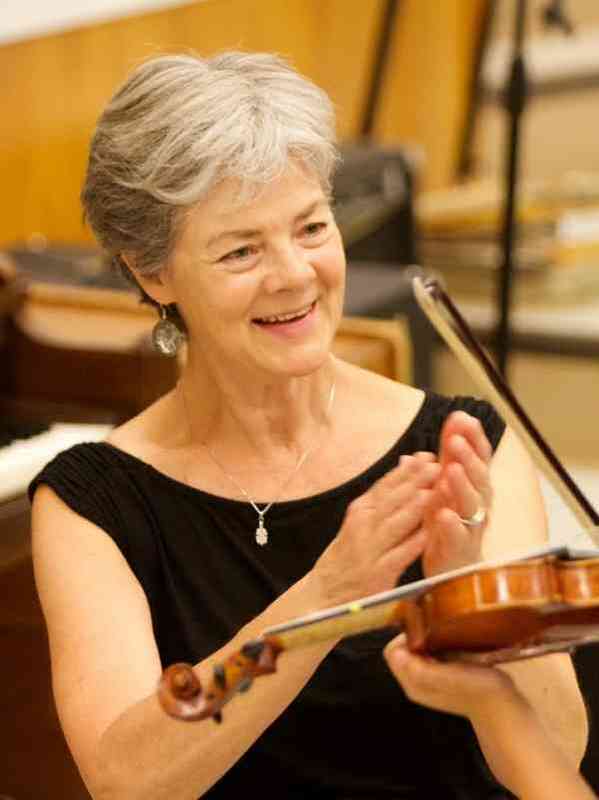 Barbara has taught violin, viola, music reading and chamber music at many workshops and Suzuki Institutes in Seattle, Kennewick, Pullman and Walla Walla as well as Alaska, Idaho, and Oregon. She lives on a small hay farm near Ellensburg with her husband, John, their dog, Nico, and three horses.